Welcome to Best Hybrid Bikes Under $1000 2019 Reviews feature. They are a combination of road, mountain, and touring bikes. If you have been in a large city, and have seen some of the people on bikes, possibilities are they are hybrid bikes. They come in handy when you are in a city, trying to avoid traffic and pedestrians. 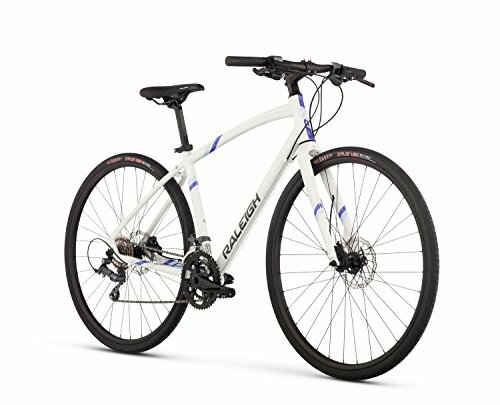 When you are looking for a hybrid bike there is a lot to consider. 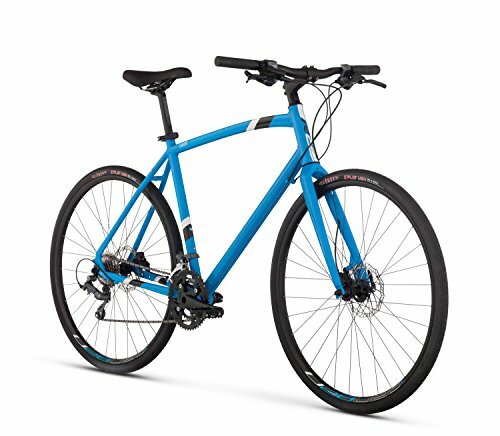 This article looks at the best hybrid bikes under 1000 currently on the market. I will review the features of each bike to help you come to a determination regarding the best hybrid bike for you. Let’s get started! Below are the Best Hybrid Bikes Under 1000 to buy in 2019. This hybrid bike comes at a great price and has top features with excellent durability for superior performance experience. This bike suitable for all road variations and riding conditions. The lightweight an aluminum frame is paired with the carbon fork to absorb road vibrations and give a smoother ride. The 27-speed Shimano offers wide range of gearing options. You can get a perfect combination of the 11/32T cassette, and 48/36/26T crankset builds for speed and performance. This bike uses Shimano Acera Rapid Fire shifters. The Rapidfire shifters provide lots of gear settings for all types of terrain and topography, and they are easy to see and use even for beginners. The bike weighs a 25 lbs. and offers sturdy 32mm tires that can handle open road and dirt paths with ease. The compact frame offers a more comfortable, upright riding position for commuter and leisure rider alike. The flat handlebars add to this comfortable ride. The Cadent 3 Urban Fitness Bike is a great option for anyone who wants to burn calories as well ride for commuting or casual rides. The frame is made of aluminum with the carbon fiber fork. The fiber fork will absorb road vibrations without adding too much weight to the bike. It offers the Shimano Claris groupset, including Claris Rapidfire Plus Shifters with 16 gears for varying topography. It has hydraulic disc brakes for excellent stopping power in all conditions. It comes with double wall disc rims on the 35mm tires are a great size for commuting and taking the bike off-road. The bike weighs around 25 lbs. depending on the size. It is available in blue and tan colors. Pedals and saddle aren’t great but easy to change. The Montague folding hybrid bike is perfect for those who need the bike that will save on space but still deliver the smooth ride. This aluminum bike weighs 29 lbs. The 21 speeds make it easy to get over tough hills, especially if you live in a city. The bike’s main attraction is its ability to fold in less than a minute to a compact package measuring 36” (t), 28” (w), and 12” (d). The bike comes with 700c wheels, which isn’t a terrible option. It comes with Shimano drivetrain and Shimano EZ-Fire trigger shifters. It features the RackStand that is a convenient addition for carrying and storing. This Bike is the smooth and solid commuter bike that has been designed for daily commuting. Its frame is made of aluminum that makes this bike easier to maneuver and control. 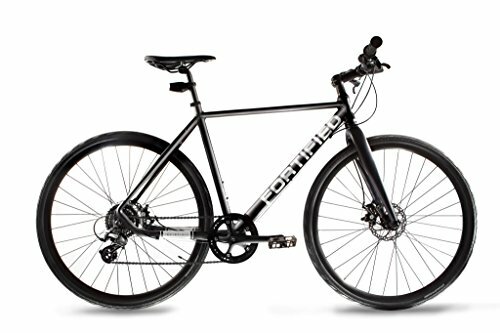 The 8-speed Disc-Brake is a bike for the variety of terrain, without more involved repairs that the higher gear bikes may have. It features the rust-resistant aluminum frame and fork, and also the chain is rust-resistant. The puncture-resistant tires are 32mm wide, great for covering street debris and looser terrain surfaces. The bike weighs a light 26 lbs. The Shimano Altus rear derailleur uses trigger thumb shifters, and it is equipped with high-powered disc brakes. Overall, this bike is durable and easy to ride around the city. 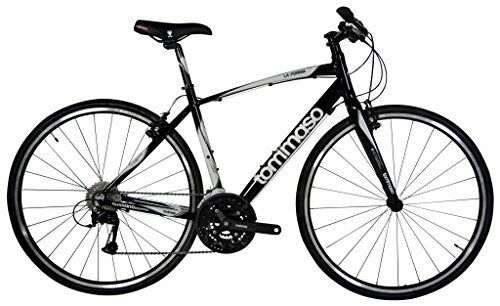 This bike is specifically designed for women riders who are ready for longer rides on the road or bike path. It has an aluminum frame and carbon fiber fork, which is going to absorb road vibrations and give a smoother ride. It has a Shimano Claris groupset. The shifters are Rapidfire Plus and this bike has 16 gears overall. It comes with hydraulic disc brakes for stopping power in all conditions. The seat is specially designed as a women’s saddle, and 35mm wide tires are excellent for varying terrain. It comes with four sizes to find the perfect fit for any rider. The bike weighs a 23 lbs. Frame Materials: The hybrid bike will ideally be lightweight enough for easy riding and commuting, but sturdy enough to handle various rider weights and road conditions. Aluminum is a lightweight material that is cheaper than carbon fiber, and will not rust or oxidize. Steel is sturdy and can hold lots of weight. The downside is that the steel is heavier than other materials. Carbon fiber is the best of both worlds, both lightweight and extremely strong. Wheel Size: The wheel size will help you decide which hybrid bike is the right for you. Most of the bikes come with a standard of 700c tires. 26-inch wheels are smaller than your typical 700c wheels, which means you are going to go faster. Also, make sure the tires are puncture resistant and provide a smooth riding. Gears: The gears are another component of hybrid bikes, and you can find bikes with various gears. It comes in a wide range of gears ranging from single-speed to 30 speed. When you are looking at the gears, you should consider the more gears your bike has, the more components it will have. The trick is to consider the type of terrain you plan to ride and your fitness level. Flat terrains require fewer gears. Riding roads with challenging hills require more gears. Suspension: Hybrid bikes are going to have a front suspension, or none at all, depending on who makes the bikes. Most hybrid bikes won’t have a suspension because it adds to the overall weight of the bike. Suspensions are good for riding on beaten up streets since the suspension will absorb the impact you feel. Brakes: There are mainly two types of brakes: Rim brakes and Disc brakes. Rim brakes are economical because they have a pad that will help you slow down. They are easier to replace when needed. There are mainly two types of disc brakes: Mechanical disc brakes and Hydraulic disc brake. Mechanical disc brakes will need to be adjusted constantly, especially if you ride a lot. Hydraulic disc brakes have a great stopping power and do not need too much pressure for them to work. Handlebar Shape: Handlebars come in 4 different shapes: Drop Bar, Flat Bar, Mustache Bar, and Riser Bar. The drop bar is more aerodynamic and built for speed. The flat bar puts you in a relaxed upright position and provides better visibility of the road ahead. Mustache bars provide different hand positions and let you sit upright. Riser bars put you in the more upright position, provide good control, and offer an excellent vision. Racks and Fenders: The racks are useful for people who go grocery shopping by bike. Fenders save you from grime and dirt. They are a good addition for those wet days. Hybrid bikes are an excellent option for those who are looking for a way to get to work. While public transportation can be faster, there is nothing like riding your bike to work. Remember, each of this above hybrids represents the best for a particular situation. Therefore, you can not fail to get one that matches your specific need and style. 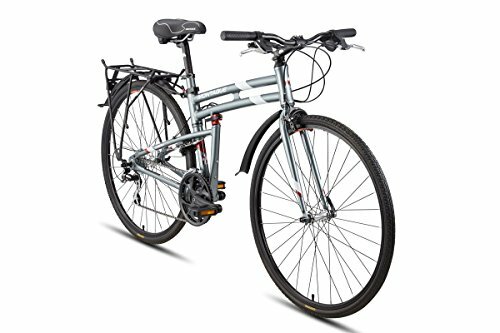 Hope above list of the Best Hybrid Bikes Under $1000 reviews and buying guide will be helpful to find an exciting hybrid bike for you.